As I lie here in the quiet of the South African morning, listening to the birds and the rhythmic breathing of two men I only met two days ago, I am reminded how good God is. Only He can take 19 people from NC, KY, TN, AL and TX, put us on a plane for 16 hours and arrive safely as one Body. We had a great dinner last night with a lot of great first time conversations, as well as lots of catching up with dear friends. To say that we are excited about being God’s hands and feet would be a vast understatement. Today we drive to Swaziland. Please continue to keep us in your prayers asking that God will use us as only He can. 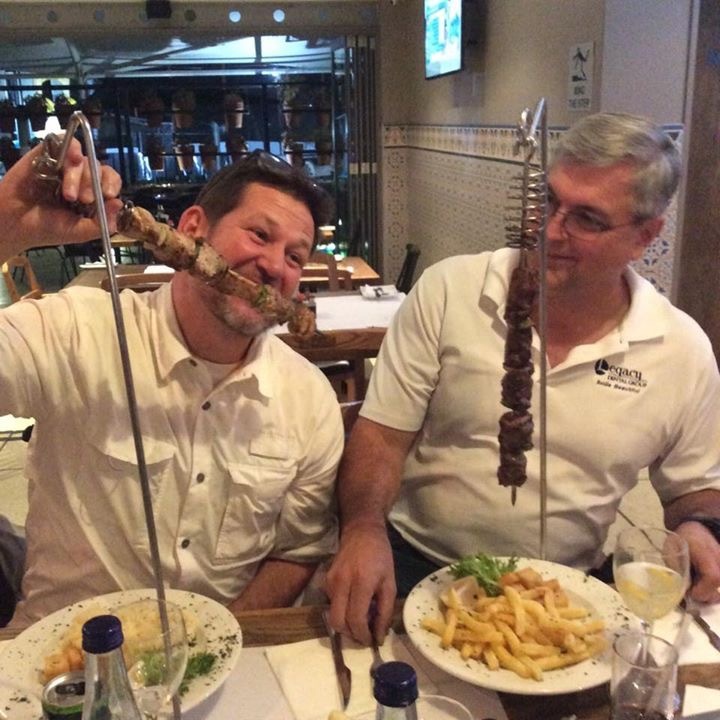 We will meet with some pastors and our translators tonight over dinner. These are dear people that some of us have known for many years and have developed a great love for. We so look forward to that sweet time together. And yet, we can’t help but think of those who are no longer with us physically on this earth and the impact that they have had on this Partnership. Please continue to pray. Ask God to keep us safe. Ask Him to use us in a mighty way, as we minister to the spiritual and physical needs of the Swazi people. Pray that God keeps us together – unified in spirit and purpose. Please keep our families back home in your prayers. We are forever grateful for the part you know have on your knees, undergirding us with your love and support. One week from today I will be boarding a plane for my second visit to Swaziland. My first time in Swaziland was in August 2016. I heard about Wayne and Barbara Myers while attending the Kentucky WMU Annual Meeting in April of 2016. A couple of years prior I had made the statement that I would love to be able to deliver the BGR buckets. I hadn’t really thought much more about that possibility until I heard Wayne and Barbara share how the buckets were being used in Swaziland. Again I had the desire to be a part of distributing the BGR buckets. I am by nature an introvert, but that day while in a small group breakout session with Wayne and Barbara, I found the courage to ask what I needed to do to be a part of delivering buckets in Swaziland. (I had never heard of Swaziland before that day.) The Myers took my information and before long I was headed to Africa with five others. That trip was an amazing blessing. I knew I wanted to return sometime in the future. I will have to say I was reluctant to say yes when Wayne first asked me to be a part of the February 2018 team. My first thoughts were about the cost. Could I afford to go again so soon? As I prayed about my decision, God clearly spoke through a message my pastor preached: “…Seek My kingdom and My way, and allow Me to provide for you.” (Matt. 6:33) God has definitely been faithful to that promise. I am so excited to have another opportunity to serve the Lord in Swaziland. I am looking foward to seeing old friends and making new ones. 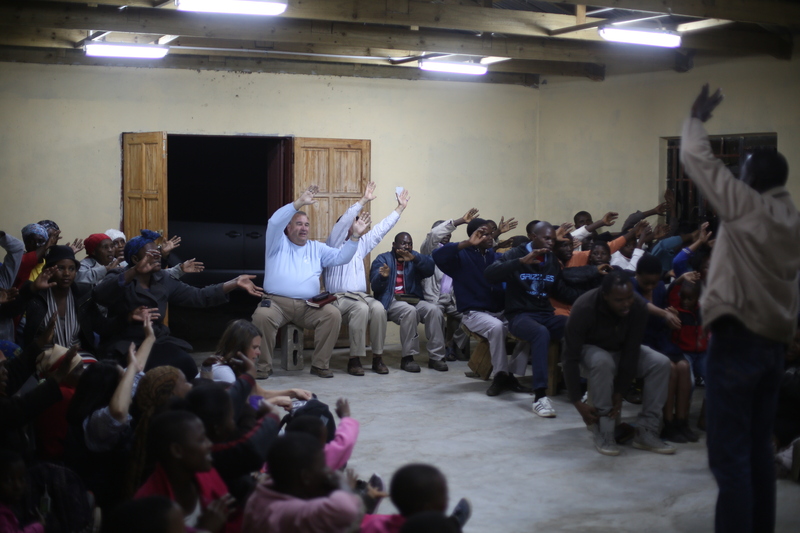 I learned last trip the essential role of prayer support while serving in Swaziland. So, we covet your prayers. You can be a vital part of what God wants to accomplish in and through this team. This time in the comfort of your home. Maybe next time in Swaziland. Our raw hearts have finally burst. After hours upon hours of driving, airport traipsing, flying, landing, flying again, landing again, and driving, we are nearly home. Exhaustion is upon us; we are spent. Jesus whispers softly, like a light breeze blowing through a meadow, “The Lord is good to all and his mercy is over all that he has made.” (Psalm 145:9, ESV) With that promise, we travel home. With only the eternal hope of the Gospel, we move forward, one step, one moment at at time. Without it, the things we’ve seen and heard are confusion incarnate; only with the good Gospel do we make sense of the brokenness we have experienced in Swaziland and the brokenness we feel in our hearts. We thank you – each one of you whose whispered prayers were lifted to the Almighty. Each of you who thought of us, followed us on our journey, spoke of us, prayed for us and over us. Each of you who broke for us. Thank you. The Lord listens to the prayers of His people, and we know He listened to yours on our behalf. Thank you for your brokenness for us. We plead with you, continue to pray for us. We need them still. Our raw, fleshy hearts need time to continue to lean into our Savior. Pray for us to rest, to breathe, to lean on His goodness, to not forget what we have seen and heard. Pray for our Swazi friends; they need us now and continually. Jesus is good and faithful to His people. And it finally happened. Our first flat tire. This morning, instead of traipsing through Kruger, we spent it at a tire shop, getting a small hole on a tire fixed. Even in this moment, Christ is good. 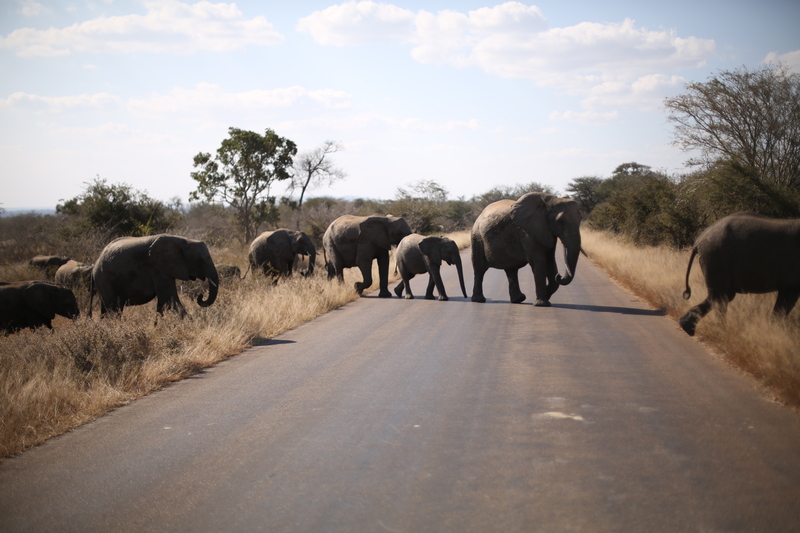 After this quick interlude, we traveled onto Kruger. What another day of sights! Baby giraffes, lots of elephants, zebra, impala, and two cheetahs! Driving lends itself to reflection. And as we drive, we’ve been reflecting even more on what our transition back to the States holds for us. We are marveling at the last few weeks of ministry, and God’s graces. We’ve been renewed in God’s spirit, more than ever before. This process of renewal has led to Christ revealing himself to us over and over and over again. Yet, Christ is continually renewing us. He’s sanctifying us, he is refining us by his fire. 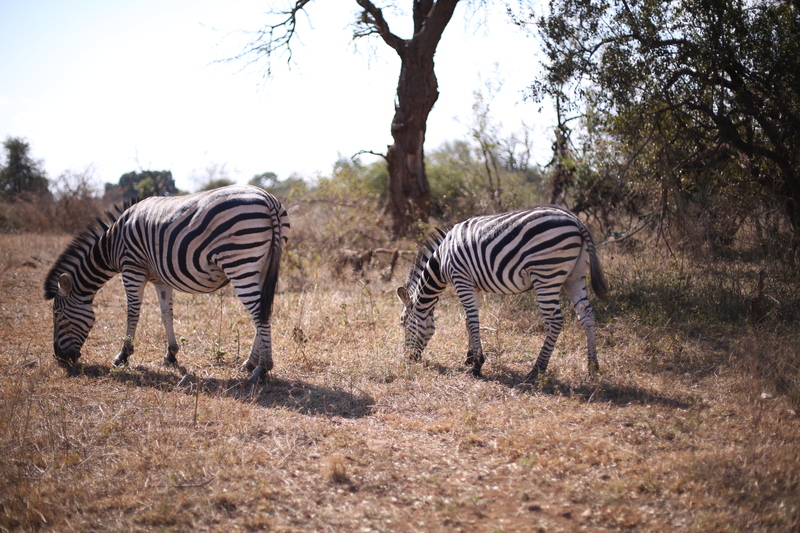 Our time in Africa draws to a close, but God is still renewing us. We pray to bring a new boldness home. A renewed belief in God’s faithfulness. We’ve taken a long draw of water from the Well of Life. We’ve tasted the tree of Life from the Garden. We’ve awed and marveled at God himself. At his graces. At his goodness. At fresh new mercies every morning. But now it’s time to come home. To bring our renewal to those we love most. Revival begins with a few. Jesus began with 12. The 12 became 70. The 70 became the thousands of Acts. The thousands became the multitudes. Father, Let it start with us. Let revival be found in the renewing of our spirits. Let us share with those we love most in this life the fire of revival. Let us heed the call to go. We’ve tasted and seen you are good and now it’s time to share. Give us boldness. Give us revival. Today during our adventures we absolutely basked in the glory of God’s creation. We discovered grace upon grace, but one specific highlight for the entire team has been African elephants. 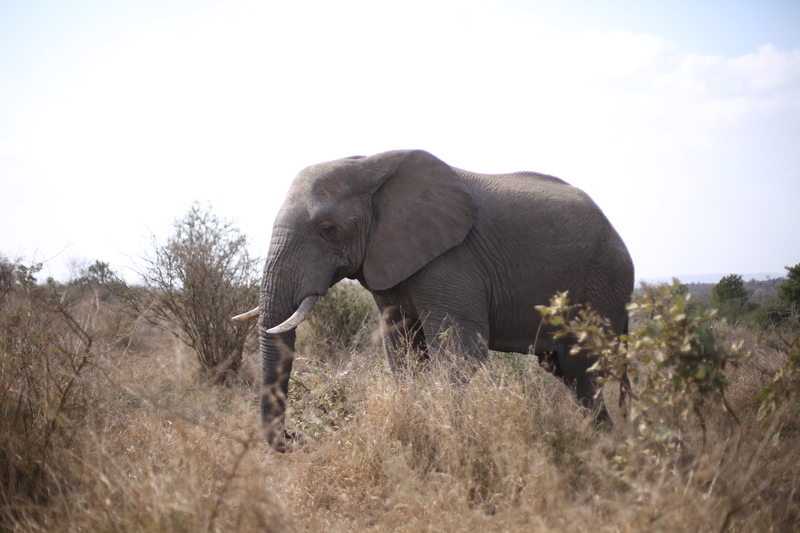 Around lunchtime today we discovered a herd of nearly 50 elephants munching away on the savannah! WOW! Woah. Isn’t that true of us too? We’re satisfied with so little spiritually. We go to to church, have our wafer thin prayer lives, and go about our business. If you’re familiar with C.S. Lewis, it brings to mind his words on mudpies vs. a holiday at sea. We’re content beings. In our comfortable contentedness, we’re missing out on every bit of glory God has for us. God is SO much bigger than us. His glory is far more than we can ask or imagine. As we reflected on the gift of this herd of elephants, we were reminded of this glory. When we come back home, we don’t want to be content. We don’t want to make mudpies when we have the gift of salvation, the holiday at sea. We want to remember and remind ourselves daily of God’s faithful goodness and his unending glory. We encourage you to behold God’s glory today too. Find it where you are. It’s alive in America too. We just have to keep looking for it. “The line between faith and insanity is thin.” Faith – the most basic element of our entire belief system. We are asked to believe in something (someone, really) greater than ourselves. And if you really think about it, it IS borderline insanity. Today we traveled out of Swaziland, back into South Africa to Kruger National Park, the largest game reserve in the world. We beheld AMAZING creatures of God’s glory, including impala, kudu, zebras, elephants, lions, and yes, giraffes! In the midst of this viewing, the team spent personal time reflecting, praying, feasting on all of God’s goodness over the last two weeks. We’ve reflected both individually and collectively on the lessons we’ll be bringing home. The resounding cry: boldness. faith. trust. The belief in things unseen, faith is the actionable step to belief. We have witnessed many come to faith in our time in Africa, but in doing so we have also strengthened our own faith. We have walked the line of faith and insanity. We have felt on the fringes, pushing the limits of our faith and seeing God expand that faith. We expect God to continue to move that faith. To give us the kind of faith that moves mountains. As we continue to meditate on all we’ve seen and heard, we’re begging God to continue to strengthen use in that faith, and to help us bring it home. Join with us in that prayer. Goodbye never gets any easier. In fact, in Swaziland, goodbye tends to be harder and harder. As we said goodbye to many today, we tasted the bittersweetness of this life. We beheld the faces of those who we may never see again in this life, but we know we will rejoice with in eternity. Church today was a combined three services of all the churches in the Northeast. With attendance of over 100, we praised God for nearly 2.5 hours! Jimmy delivered a fantastic sermon on Nicodemus, and many Swazi and American voices were lifted high! After delivering many of our Swazi friends back to their homes, we came back to our guesthouse and said goodbye to the Allen family, the Poe family, and our great friend, Kuseni Jele. Although we will be going home with some of those, the goodbyes do hurt. This evening we were able to invite the pastors in this area to dinner, and we celebrated and shared with them the amazing things God has done in our time here. Praise God! 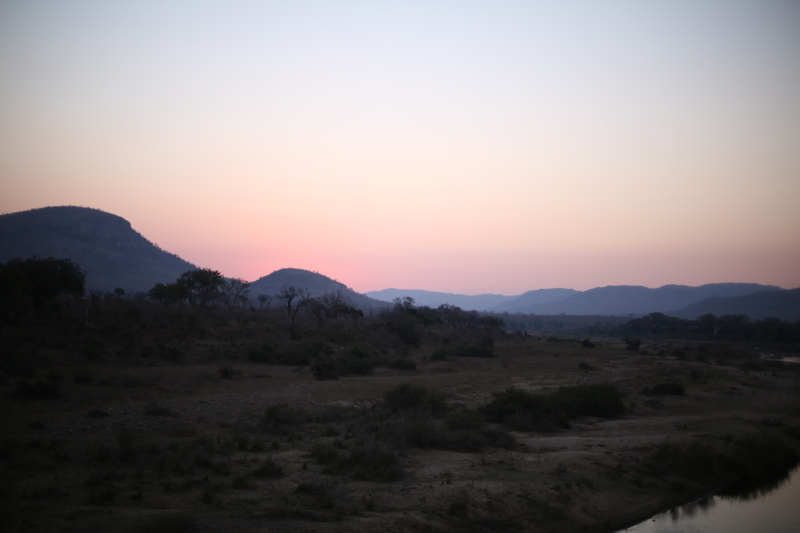 As the sun begins to set on our time in Swaziland, we reflect back on all that God has done in our time here. 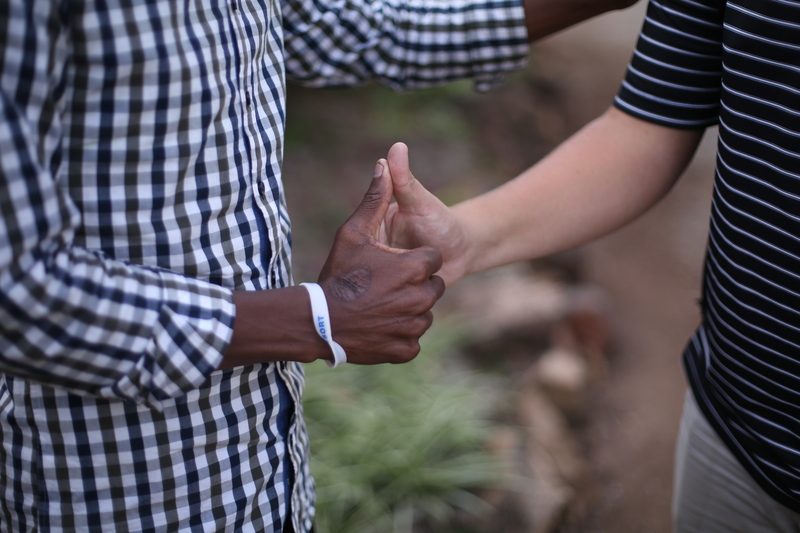 We’ve seen lives changes – both Swazi and American. We’ve witnessed God move in a mighty way all over this country. 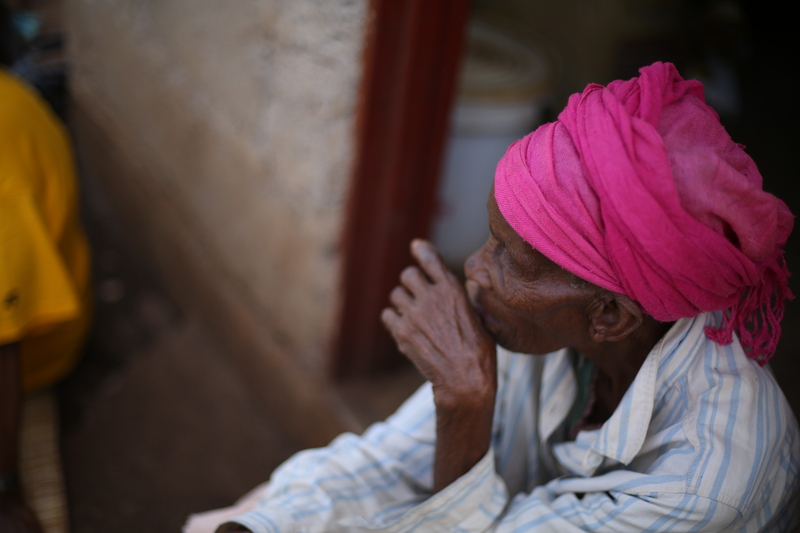 We’ve beheld grace incarnate in the faces and voices of Swazi Christians. We’ve cried, reveled, and shared in the beauties of the nation and in each other. We’re thankful for the African sunsets, even if they are bittersweet. Continue to pray for us as we transition to Kruger. We’ll be spending time processing, engaging with God, and sharing our last few moments together. Pray for our rest in the Lord. Pray for our steadfastness in the Gospel. Pray for our transition back to American life. We’ll update you on our adventures there! “Call” tends to be one of those cheesy Christian words that people use. “Are you called? Has Jesus called you to Himself?” As much as we have culturalized it, calling is biblical. God has called each of us. Today was packed with activities that showed us Jesus’ calling to us. This morning we headed out to Section 19, one of the poorest communities in the entire Kingdom of Swaziland. 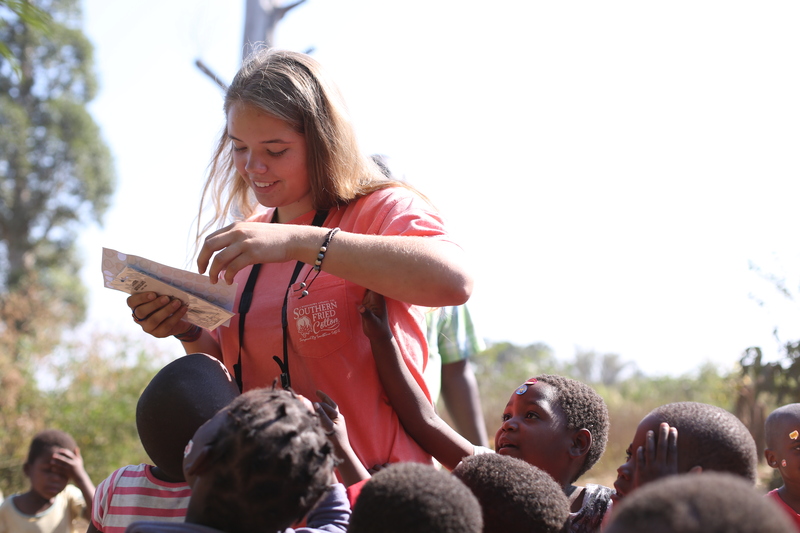 After attending kids’ bible church, we were able to share playtime with the children with stickers, bubbles, soccer and beach balls! We had a blast! We then traveled to some of our missionary friends’ properties to have another children’s church. While there we were able to hear their story and of their plans for a medical clinic. We know they will be touching the lives of many in Tshaneni. We also prayer walked their property, praying for wisdom and love over them. After wearing ourselves down with more play, we went back, rested up, and went to Vuvulane for revival. What a sweet time! God is moving in Vuvulane! In Swaziland! Church tomorrow. All three northern churches will be coming together for service, and we pray for a sweet time with our friends! Bittersweetness. Tomorrow our friends, the Allens and the Poes will be leaving us behind. Pray for their safety as they embark on their own travels, and for their last sweet moments in Swaziland. Rest. We are exhausted. As we go to Kruger, pray for us to rest and to connote to grow as a team! We ARE called. We are called to leave it behind for Jesus. We are called to pick up our cross. We are called to leave behind comfort. Family. Friends. Relationships. Ambition. Success. Country. Citizenship. “When somethings burns you, you remember it.” The fire of revival is burning in Swaziland. What a testament to God’s grace! We’re getting to witness it firsthand, and we are so thankful. Tonight we went to church! After a arduous drive to Tshaneni (the northern area of Swaziland), we spent the afternoon on the small game park where we are staying and resting as a team. After a quick dinner, we headed off to Vuvulane for church! The Lord MOVED tonight and we saw four souls get saved! Praise God! Brother Jarred brought the word of the Lord to the room, speaking on revival of the flame of our hearts. He challenged us all in many ways, but a few stick out. We pray over each of you to know the Lord. We pray that you would know the fire of God, and that it would reignite. We want to bring home the fire of Swaziland to America. We want to stand in awe of the revival that we see here right at home. Help us fan the flame. Help us bring the spirit of revival to your neighbors, coworkers, family, and friends. Revival. Pray for the revival of Swaziland. Pray that each soul tonight saved would go out and share with others the Good News of Jesus. Swaziland. Pray for this country. Pray fervently that every soul would know Him. Pray that revival would burn here. America. Pray that the fire would ignite in our own country. We want to watch America burn with the Gospel. We are so thankful for you. Your prayers moved the Lord to bring revival tonight to Vuvulane. We beg you to continue to pray for us and Swaziland, that the coals would become an open flame, and that our hearts would burn for this country, for this land. What a Gospel message: When we come to know the Lord, we are given a heart of flesh. We are given His spirit, and he descends upon us. In this process, however, the heart of flesh becomes pulpy, and raw Our fleshy hearts are rubbed raw with wounds of sin, scars of pain, and burns of heartbreak. Our hearts have been rubbed raw by Swaziland. We fight to believe they are not goodbyes, but rather they are “see you soon.” As we finished up homestead visits in the central part of the country today, and said goodbye to our translators, we are reminded of this fleshy heart. One particular story stands out today: during a homestead visit, we were able to “cold call”, one of our Swazi friends was paralyzed, most likely from a stroke. After presenting her with a BGR bucket, she wanted to put the socks on her feet, but did not want to until her feet were clean. 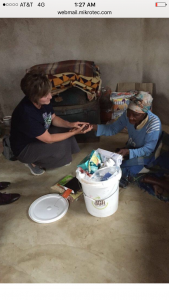 Sweet Elijah, only 15 years old, knelt down and lovingly washed the feet of this sweet Swazi woman. Not a dry eye, as you can imagine. She was blessed by his sweet testimony, and we were blessed by his Gospel heart. Illness. Most of the team is fighting some kind of illness, both internal and external. Pray for our health as we finish out the trip. Travel. We will be moving locations tomorrow in country. We are so excited, but want to stay safe during out travels! Revival. Tomorrow we will be hosting a revival in the North. Pray for God to move during this time, and for team member Jarred as he brings the word of God! It’s getting bittersweet here but your encouragement and prayer continues to give us the strength and hope of the Lord. We are so thankful for each of you!